Robyn is one of our much-loved Moms Group facilitators and is also a therapist who specializes in working with moms and couples through pregnancy, postpartum, and early parenthood. She shares office space at Then Comes Baby on Mondays and Tuesdays and is happy to hear how she can support you. To learn more about our Groups, check that out here. To learn more about Robyn, check her out here. 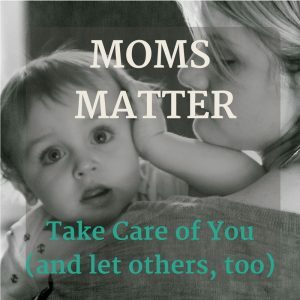 I think I can speak for most of us working closely with women in the perinatal time of life (prenatal through postpartum) specifically those of us working in the area of maternal mental health, when I say that I am both heartened and relieved to see more and more information coming out about the significance of a woman’s transition to motherhood. After all, there may be no greater transformation that a woman can experience than the one she undergoes when she has a baby. We are seeing more articles written on the topic like this one https://www.nytimes.com/2017/05/08/well/family/the-birth-of-a-mother.html outlining the transition to motherhood; one usually fraught with highs and lows and an intense array of feelings to sort through. We are seeing more and more celebrities (which the NYT article also highlights) coming out about their struggles with Postpartum Depression, beginning to crack some of the silence that has historically shrouded this issue. For this I am grateful. Motherhood is a complicated journey that needs voices normalizing the struggles as well as the joys. And although articles and celebrities are tremendously useful in increasing public awareness and shedding light on the 15% of women who will develop a Perinatal Mood and/or Anxiety Disorder, it isn’t enough. There is a key part of the story that repeatedly gets left out of the conversation. Generally speaking, once a baby is born our culture’s focus shifts permanently to that baby. It is rare that a new mom is asked, with any regularity, how she is doing emotionally. This means that a new mom who is incredibly sleep-deprived needs to muster the energy and in many cases, the bravery to say that she is struggling and needs support. Once she identifies that she may need something extra to help her through this period, she then has to search for the resources that in many communities are very difficult to find. Here in the Bay Area, we are so very lucky to have resources for new moms and as a Marriage and Family Therapist, specializing in Maternal Mental Health, I see helping moms get that support as a personal and professional responsibility. Women need to be seen and heard throughout their journey of motherhood. Healthcare professionals can educate, ask questions, listen, offer support and make referrals to those of us who can help. Below are some risk factors, which may increase a woman’s chances of struggling emotionally during pregnancy and/or after giving birth (and potentially up to one + year postpartum). These are important for all women contemplating a pregnancy to be aware of as well as any healthcare professional providing services to her. -Access other new mom services (breastfeeding support, new mom groups, postpartum doulas, massage, etc. ).